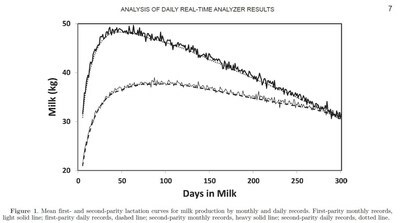 study of 37,486 Holstein cows over a two-year period. when compared with monthly DHIA tests. fat production, with minor differences of up to 0.1 percent. lower for the AfiLab records." nutritional changes affecting the entire herd.